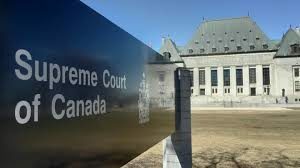 The Supreme Court ruling is a significant loss for consumers and our Canadian economy, but a great win for inertia. The Comeau case was never just about beer. It was essentially about enabling our domestic economy across the country to thrive. For the agrifood sector, the decision would have had tremendous significance. Gerard Comeau made a purchase in Quebec of 344 bottles of beer, two bottles of whiskey and one bottle of other spirits, which he then brought back to New Brunswick. This is something he had done several times but which is in fact deemed illegal, based on a 90-year old law. This time, however, Mr. Comeau was arrested and fined $292.50. This was in 2012. More than 5 years later, the Supreme Court ruled the fine to be unconstitutional. Who would have thought that $292.50 had the potential to forever change the face of domestic food trade? For almost nine decades, interprovincial barriers have multiplied and have made the life of many food companies a living nightmare. For consumers, if no one catches you, you move on. For businesses, when buying ingredients or specialty products from another province, it’s been less than convenient. Moreover, many of these products were taxed only to support provincial government’s public coffers. Barriers were erected to suppress competition and sell more taxed and overpriced food products and beverages. Canada has a myriad of trade barriers in addition to the fact that the agrifood sector is addicted to marketing boards. For many, mechanisms countervailing power are the only methods possible to appease entrepreneurial angst in the sector. We just needed the Supreme Court of Canada to make us realize that we need to get our interprovincial act together. But it did not happen. Because of this ruling, creative companies in smaller provinces will not have a fighting chance to expand and compete in larger markets, such as Quebec and Ontario. Wineries, craft cheese producers, craft breweries, speciality meat producers, and many other small-scale operations will face mounting obstacles, domestically. A different outcome would have met a reduction in the price of a variety of products you now enjoy. More competition could have put pressure on prices. Fiscal policies could have changed, given how open provincial economies were going to become. But now, we will need to wait a while longer. The will for more economic integration makes internal barriers undesirable. The case for a better flow of goods remains very strong in Canada, from an economic standpoint. Interprovincial trade barriers never made sense in the first place, never will. We are only 37 million inhabitants in one of the vastest counties in the world. Distribution costs are prohibitive for many of our small and medium-sized companies, who often drive the open agrifood innovation agenda in this country. These companies have long needed just such a chance to thrive beyond one or a few provinces. Some favorable to the current regime believe the Comeau ruling could have triggered a race to the bottom, in terms of health standards and food safety. Such an argument is nonsense. Risk management practices in the Canadian agrifood sector are exemplary. As we continue to seek opportunities abroad, Ottawa and the provinces will need to clean house here first. It has taken over 90 years – and a timid fine of $292.50 – for Ottawa to finally receive a strong message that Canadians deserve better. But for no, the Supreme Court has opted to stay on the sidelines.